“We used to say about Pamela that if you put a blindfold on her in a crowded room, she could smell out the powerful man,” a close friend of hers said. 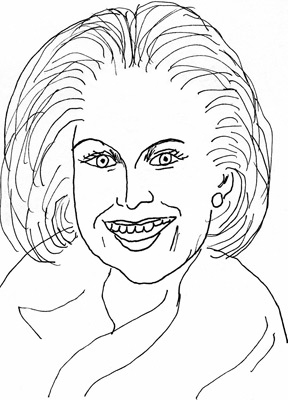 In The Career Within You, Ingrid Stabb and I describe Pamela Churchill Harriman, 1920-1997, as an English-born socialite linked to many important and powerful men, who became a political activist and diplomat. Her only child, Winston Churchill, is named after his famous grandfather. Her esteemed father-in-law preferred her company to that of his own son, Randolph, who was infamous for his drinking, gambling, womanizing, and antisocial antics. Harriman had friendships or affairs with Edward R. Murrow, Prince Aly Khan, Alfonso de Portago, Baron Elie de Rothschild, shipping magnate Stavros Niarchos, and many others. She paid close attention to all of her lovers’ preferences and typical of a Helper, would satisfy all their needs. Harriman’s political career began in the United States through a marriage to an American, Averell Harriman, a businessman and ambassador to Russia and Britain. She became involved with the Democratic Party, creating a new fund-raising system. In 1980 the National Women’s Democratic Club named her Woman of the Year. President Bill Clinton appointed her ambassador to France in 1993. 1. Helpers can be intense and dramatic, especially when extraverted. Even when extraverted, Peace Seekers are relatively reserved, calm, and even-tempered. 2. Helpers usually reveal their feelings easily. Peace Seekers tend to keep their feelings to themselves, especially when introverted. 3. Helpers generally limit their attention to one person at a time. Peace Seekers are likely to merge with any of a large range of things: a person, a group, and so on. 4. Helpers often look self-confident and are concerned with their image. Peace Seekers seem relatively modest and unpretentious. This is part of a series on Famous Enneagram Types. More can be found on my blog on Psychology Today. And I have a list of famous Enneagram and MBTI types on my web site. In the Sunday Book Review of March 27, 2011, Hari Kunzru reviewed Joseph Lelyveld’s book about Mohandas Karamchand Gandhi, Great Soul: Mahatma Gandhi and His Struggle With India. Kunzru’s review is called Appreciating Gandhi Through His Human Side. Lelyveld, a New York Times executive editor, was a former correspondent in India and South Africa. 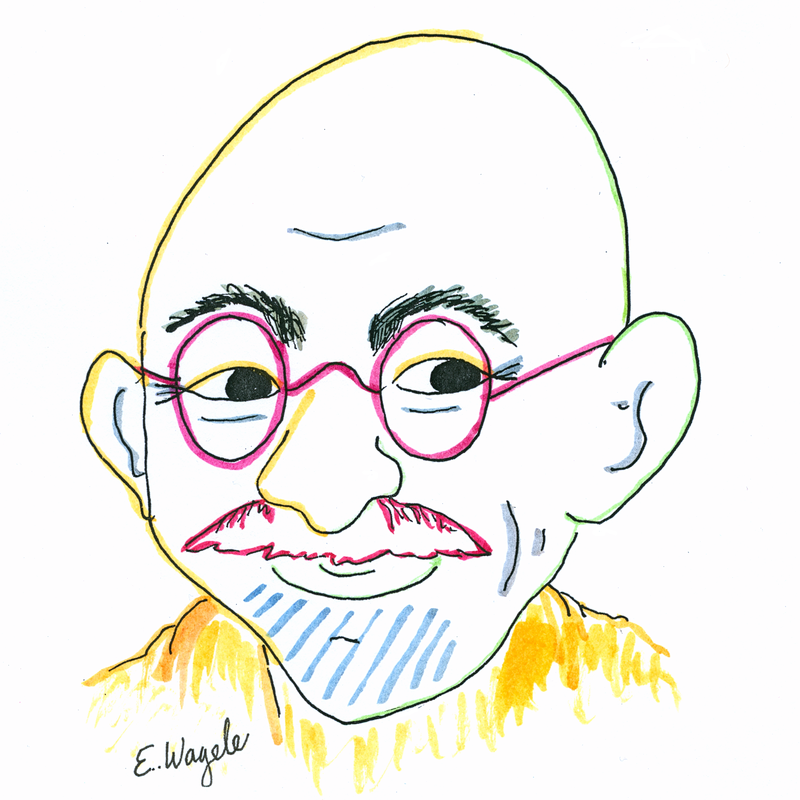 Ingrid Stabb and I list Gandhi as a Perfectionist in our book The Career Within You (page 17) because of his strong adherence to his principles. The rest of this blog consists of parts of Kunzru’s article. Gandhi (1869-1948) came from a conservative merchant caste, became part politician and part saint and renewed the tradition of Hindu asceticism in the hope not just of political independence, but also of a social and spiritual transformation. Gandhi was attracted to Theosophy, a mixture of Hinduism and Western Spiritualism. In 1894 Gandhi identified himself in a newspaper advertisement for a series of self-published tracts as “Agent for the Esoteric Christian Union and the London Vegetarian Society.” When he discovered Tolstoy, his creed of universal brotherhood and radical nonviolence affected him profoundly. Gandhi became a spokesman for the Indian business elite of Natal Province in South Africa, lobbying against a system of discriminatory legislation, which was rapidly evolving toward full-blown apartheid. Despite his later claims, Gandhi did not immediately champion the rights of indentured laborers, the underclass of mainly low-caste South Indians who had been transported to labor in mines and on plantations in conditions of semi-slavery. He was also yet to become the staunch anti-imperialist of later years. Hoping to gain concessions from the British colonial authorities, he organized an Indian stretcher battalion to serve in the Boer War, and in an ignoble episode in 1906 assisted (also as the leader of a corps of stretcher-bearers) in the brutal suppression of a Zulu uprising. There has been controversy about Gandhi’s political rivalries and his shortcomings as a husband and father. Mr. Lelyveld’s frank discussion of Gandhi’s erotically charged friendship with the German-Jewish architect and bodybuilder Hermann Kallenbach is likely to ruffle feathers, especially in a country where homosexual activity was a criminal offense until 2009. Gandhi left his wife to live at Kallenbach’s house in Johannesburg for a period, and Kallenbach donated to Gandhi the 1,100 acres that became their communal Tolstoy Farm in 1910. As Mr. Lelyveld notes, “in an age when the concept of Platonic love gains little credence,” the romantic tone of their letters (including pet names) is likely to be read as indication of a straightforward homosexual intimacy. Yet it is also clear in Mr. Lelyveld’s account that Gandhi’s celibacy was a profound and deeply felt position. Gandhi returned to India in 1914 and threw himself into the struggle for self-rule. Repeatedly imprisoned by the British, he led a campaign of civil disobedience, culminating in the Salt March movement of 1930, which, as Mr. Lelyveld writes, “shook the pillars of the Raj” and resulted in 90,000 arrests after Gandhi defied a British tax by the simple act of going to the seashore and harvesting salt. Mr. Lelyveld portrays Gandhi as a disciplined religious ascetic. Where he ate, what he ate, who cooked it—all were properly political questions for a leader trying to maintain shaky unity between Hindus and Muslims, while engaged in a battle against the caste system, which was one of the foundations of Hindu belief. By voluntarily performing actions considered polluting or degrading, like collecting human waste and living with untouchables, Gandhi earned the right to offer new definitions of what was uplifting and purifying—definitions that were both spiritual and political. Mr. Lelyveld has restored human depth to the Mahatma, the plaster saint, allowing his flawed human readers to feel a little closer to his lofty ideals of nonviolence and universal brotherhood.